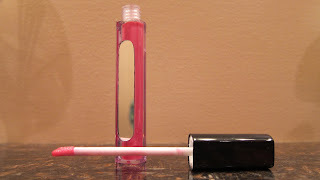 THE SKINNY: This is a smooth and silky lip gloss that adds a great sparkle to lips. The gloss lasts a decent amount of time, a few hours if you're careful, and doesn't feel sticky or gritty. The color may not look like much in the bottle, but it does provide a great shine without looking tween once it's one your lips. The bottle is outfitted with a small mirror, which is a pretty cool idea. ModelCo is an Australian grade created by a former model agent. The company focus on quick-fix, multipurpose beauty solutions. KEEP OR TOSS: Keep. I really like the shimmer. CHECK IT OUT: SHINE Ultra Lip Gloss only comes in five colors.